A proper definition for fugitive emissions can be “emissions of gases or vapors due to leaks from pressurized equipment, pipelines, seals, valves, chimneys, stacks, and vents”. To keep it simple, fugitive emissions are unintentional gas emissions from industrial activities that cannot be detected at sight. Fugitive emissions can be a real threat to people safety and to the environment: that’s why it is crucial to detect any leak through specific tools and technologies. money saving – without gas losses, the plant don’t have to face economic losses and can achieve a significant cost reduction. Instrumental monitoring of VOC (Volatile Organic Compounds) can be carried out with two main devices: the Flame Ionization Detector, known as FID, and the Photoionization detector, known as PID. They both can be detect and monitor fugitive emissions in every plant with running fluids in liquid or gaseous form and at different temperatures. 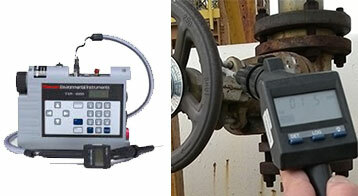 FID and PID systems detect every possible leak and its source, in order to intervene decisively and resolutely. It is important to underline that our field experience showed substantially different results from the usage of FID and PID. Tests carried out in parallel, on real samples, and in real LDAR monitoring conditions, showed that FID is the best technology for fugitive emissions and VOC monitoring. 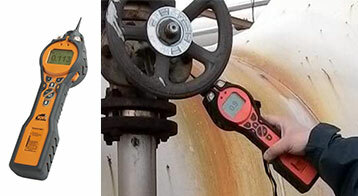 Its flame ionization technology is less subject to interferences; also, FID can detect VOC presence with a higher precision compared to PID: let’s see why. PID technology is based on an ionization process to which methane gas does not respond: so, PID can’t detect natural gas. Moreover, this gas can lead to a barrier effect which results in a decreased device efficiency. This side effect is minimal in case of low fugitive emissions concentration, but it becomes more and more significant while the concentration increases. The same side effect can be caused by particulate and condensation. As a consequence, PID can be successfully used for single chemical compounds measurement in low concentration conditions, with a higher sensitivity than FID. PID can be less effective, though, in high concentration conditions. Are you looking for a custom – made fugitive emissions monitoring service? CONTACT US and we will identify the most efficient and cost-effective solution for you!